We installed a New Landscape Lighting System in Overland Park, KS this summer. 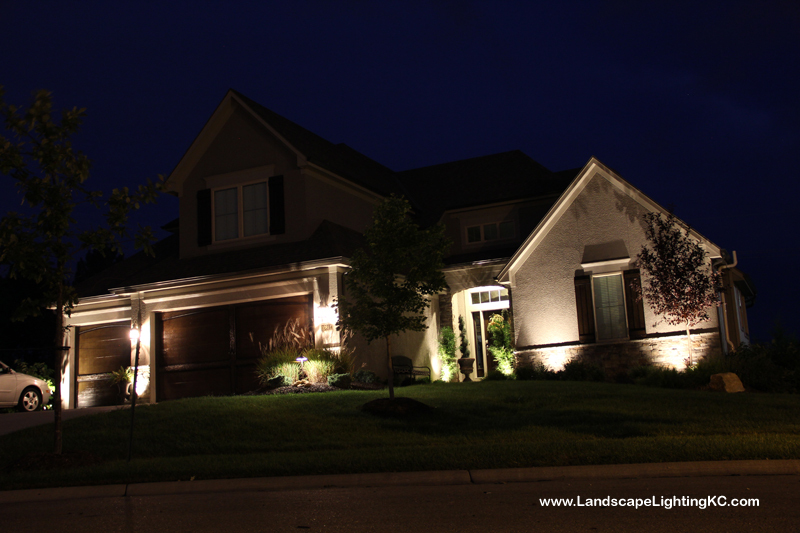 It looks great at night and really shows off the features of the house. 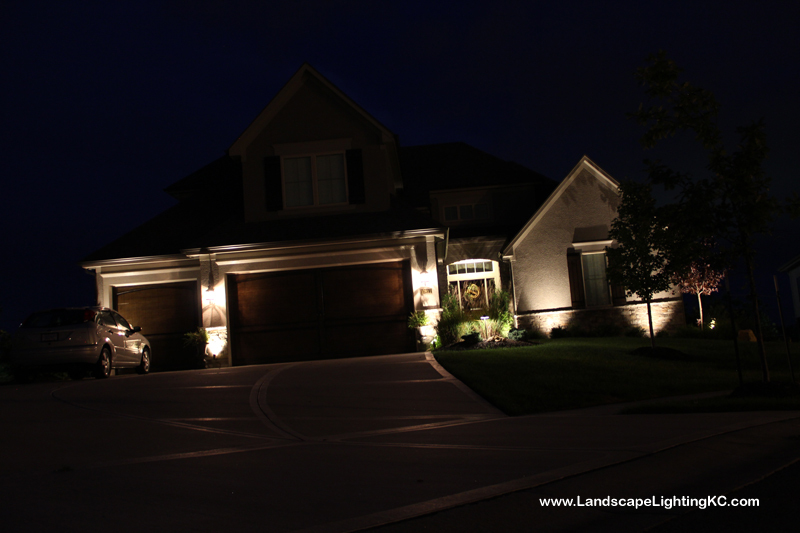 It is in a dark cul de sac so the landscape lighting was a must in order to achieve some safety at night. Take a look at these pictures of landscape lighting and if you are interested in making your house more beautiful and safer at night give us a call!